It is as sweet as it sounds; getting waxed without any of the pain AND better results. 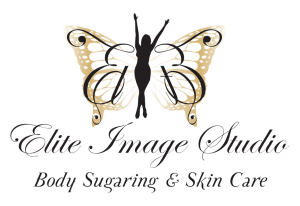 It is not too good to be true; Elite Image Studio has it here for you. Clients often ask us, is there really any difference between waxing and sugaring? The answer is YES. Sugaring removes hair just as wax does, but the agents used in sugaring paste do not adhere to living skin cells. Therefore, you do not rip follicles and create a painful red aftermath; instead, you are left with pure, smooth, soft, bare skin. Sugaring is also peeled off with the direction of your hair, not the opposite direction like traditional wax, which can create ingrown hairs and rashes. Sugaring will never do that to you, even in your most sensitive areas. Sugaring is also created from all natural ingredients like sugar and water. Unlike waxing that uses many chemical products to create a gel, you could even eat sugaring paste! 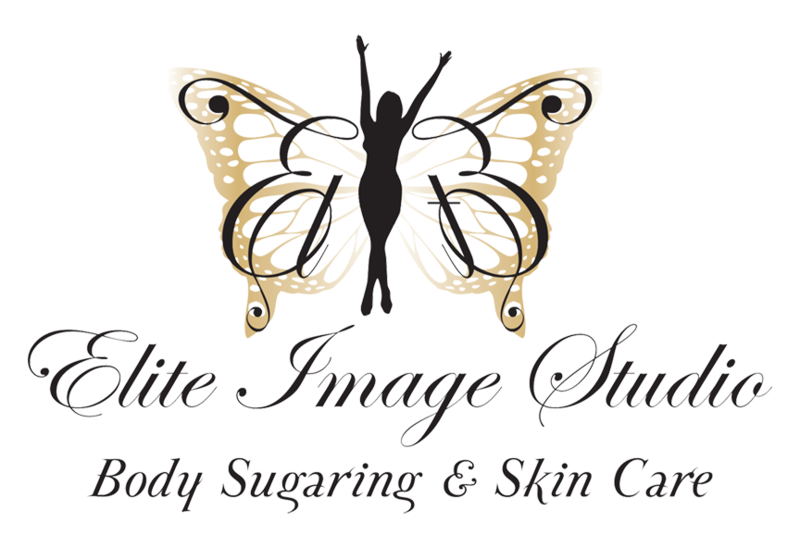 Our artists at Elite Image Studio use gloves to apply the sugaring paste, then gently remove the substance by a simple flick; no cotton strips or spatula are required to remove your hair as with wax. Unlike waxing, sugaring will never burn your skin, is hypoallergenic, and it does not breed bacteria. Body Sugaring products do not contain petrochemicals, resins, or preservatives. It is made of sugar, lemon, and water. Body Sugar is warm, not hot. Hot wax can burn the skin and cause the tissue to swell, making hair removal difficult. Body Sugar is only warm; you’ll never burn your skin. Body Sugar won’t stick to live skin cells. It removes dead skin cells so it also exfoliates your skin during the treatment. Wax adheres directly to the skin cells, which makes waxing painful and irritating. Sugaring is much easier on your skin. Wax cannot be applied to an area more than twice. Body Sugar can be used over and over again in the same area to remove stubborn hairs. Body Sugar rinses off easily with water. Wax residue must be removed with either chemicals or heavy oils. Sugaring wax is suitable for all skin types. Body Sugar leaves skin smooth and silky! Bottom line, sugaring is a much sweeter way to remove hair and leave your skin silky, smooth, and bare. We treat sugaring as an art, and you are the masterpiece. We promise every client leaves satisfied and happy, or we haven’t done our job.